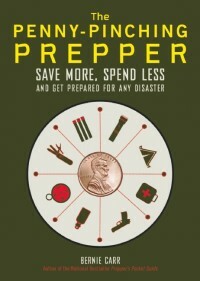 As we celebrate the beginning of another year, I’d like to thank you for making Apartment Prepper a part of your day. I am grateful to be able to write and share what I’ve learned about preparing for emergencies. In turn, I’ve also learned a lot from our community of readers. Your readership encourages me to continue writing this blog. Though my original intent for this blog was preparing for disasters in an apartment, it has grown to encompass a lot more: healthy living, personal finance, self-sufficiency and many other aspects of a prepared life. It is my hope that we can all help each other be prepared and cope with whatever difficulties come up, large or small. I wish you and your family a healthy and prosperous 2018.